The Nebraska Supreme Court Rule mandating continuing legal education requires all active attorneys complete 10 hours of continuing legal education per year beginning in 2010. To maintain transcripts, to submit programs not already approved and search for Guardians ad litem (GAL), please visit the Nebraska Attorney Services Division website. The Nebraska Supreme Court created the Nebraska MCLE Commission to monitor compliance with the MCLE rule, approve vendors of CLE and ensure attorney compliance. All active attorneys are to complete 10 hours of continuing legal education, including 2 hours of ethics or professional responsibility, per calendar year beginning in January 1, 2010. If the attorney chooses to complete a course or education activity from an non-accredited provider and/or non-approved course for the purposes of CLE credit, the attorney will need to submit a request for CLE credit on their own behalf, which would be subject to approval by the MCLE Commission. Check the MCLE website for approved courses by accredited and non-accredited sponsors. Attorneys are to the use the ASD website to record education completed, submit requests for CLE approval and complete all other administrative tasks related to MCLE. 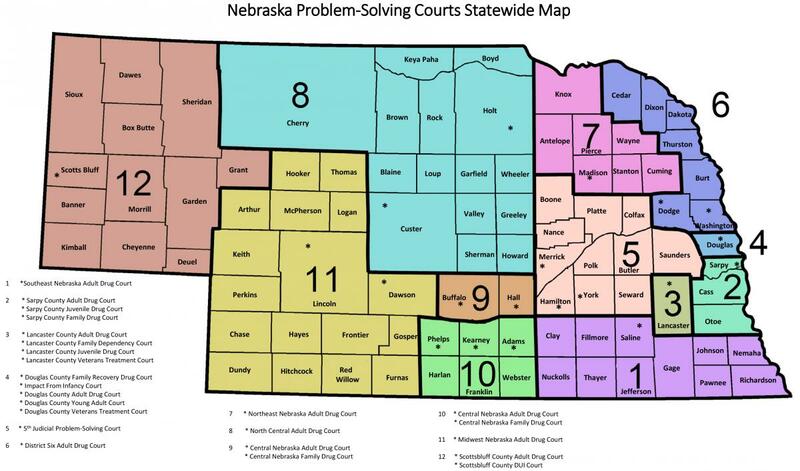 Interested in Providing CLE in Nebraska? If you are interested in providing CLE in Nebraska, you will need a sponsor-user account on Nebraska ASD website in order to submit your application(s). Contact the Nebraska ASD Help Desk at 402-471-3137 or nsc.mcle@nebraska.gov to request a sponsor-user account. Your organization may apply for accredited provider status or request approval of individual educational offerings available to Nebraska attorneys. The legal education programs of an accredited CLE sponsor shall be automatically approved for CLE credit so long as its status as an accredited CLE sponsor remains active. $200 Application Fee + $25 application fee per program. Applications for accredited sponsor status must be made through a sponsor-user account for the MCLE website. Accredited sponsors must a history of providing legal education for at least five years. Be sure to include a list or chart summarizing your CLE offerings from the last two years, including detailed materials for three offerings, with your application. Use the online system to request approval CLE credit of an educational activity available to attorneys practicing in the State of Nebraska. Application for approval must be made at least 10 days before the proposed activity. $50 Application Fee. Please submit your questions about MCLE to nsc.mcle@nebraska.gov or call 402.471.3137. The MCLE Commission staff will respond to all inquiries received. You may also request to be added to the MCLE email distribution list by sending an email to nsc.mcle@nebraska.gov. Then you will receive periodic email notifications from the Nebraska MCLE Commission.